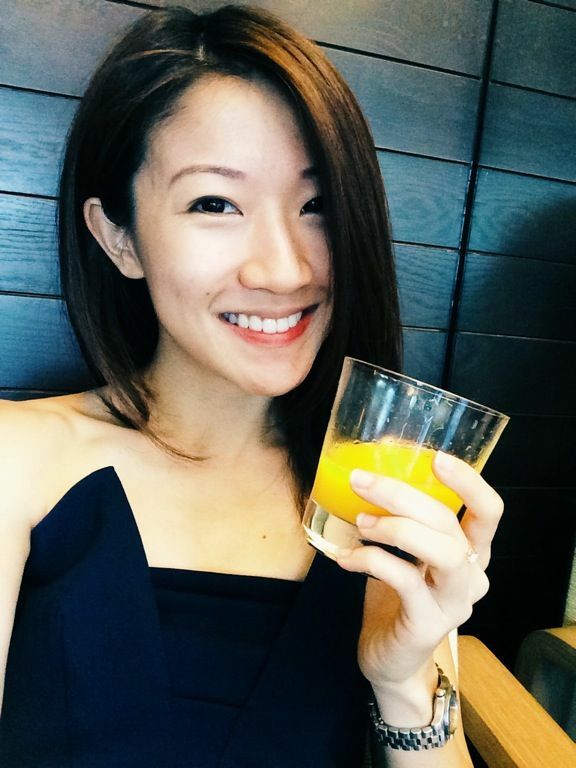 There is no reason to travel to the western part of Singapore except for food. For Spanish paella, we are happy to trot down to UNA at One Rochester. Plus it's a fantastic spot to wind down with sangria in this lovely colonial bungalow with fairy lights. 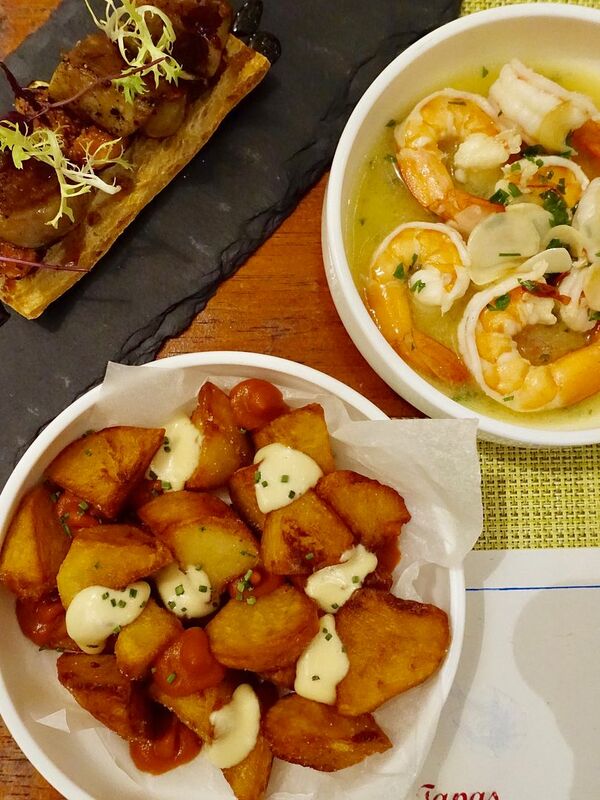 The menu consists of Spanish offerings of tapas, paellas and parilla (grill) specialties. 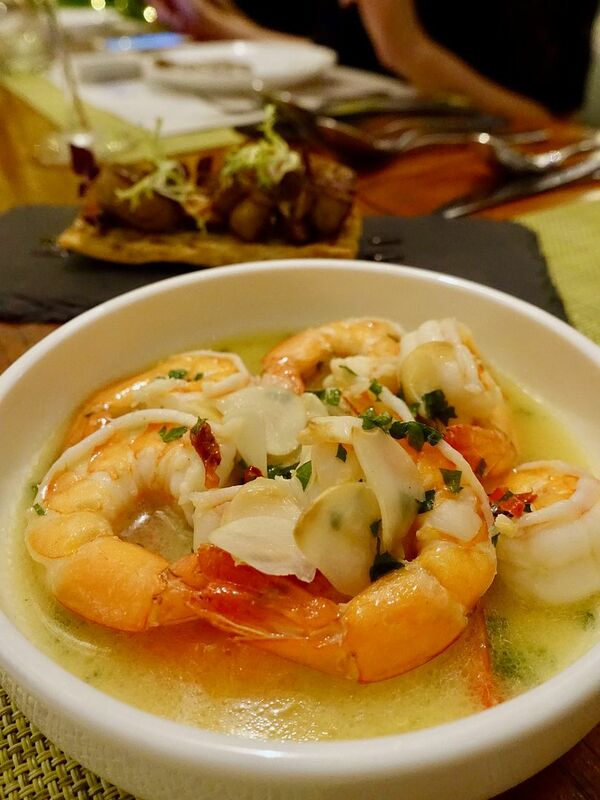 You will not go wrong with the crowd-pleasing Gambas Al Ajillo ($22), made with fresh tiger prawns sautéed in olive oil, white wine, garlic, parsley and a kick of chili. We couldn't stop dipping the bread into the aromatic infused olive oil. 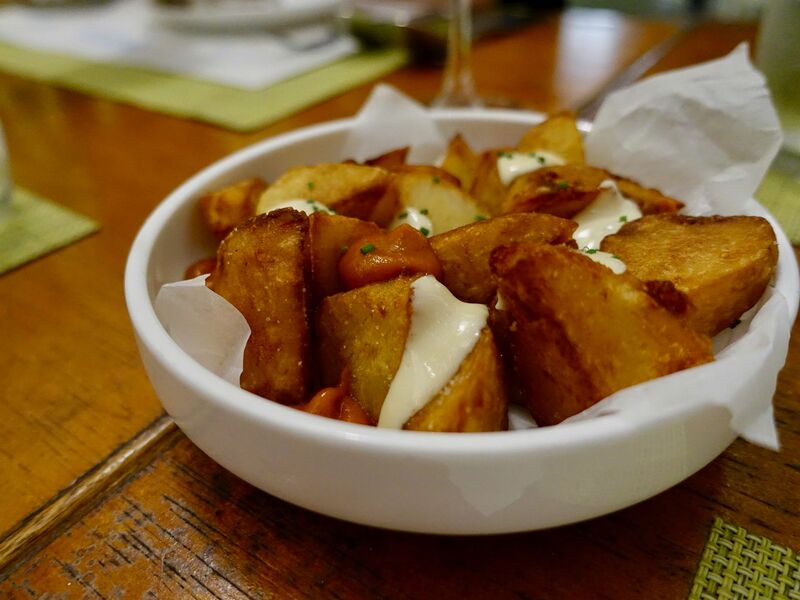 The Patatas Bravas ($10) may seem plain but the potato bites were wonderfully crispy. The spicy tomato-base brava sauce and aioli made them even more irresistible. Skip the Coca De Higos Y Foie Con Vermouth ($26). The thick cubes of liver on the biscuit-like Spanish flatbread didn't work for me. 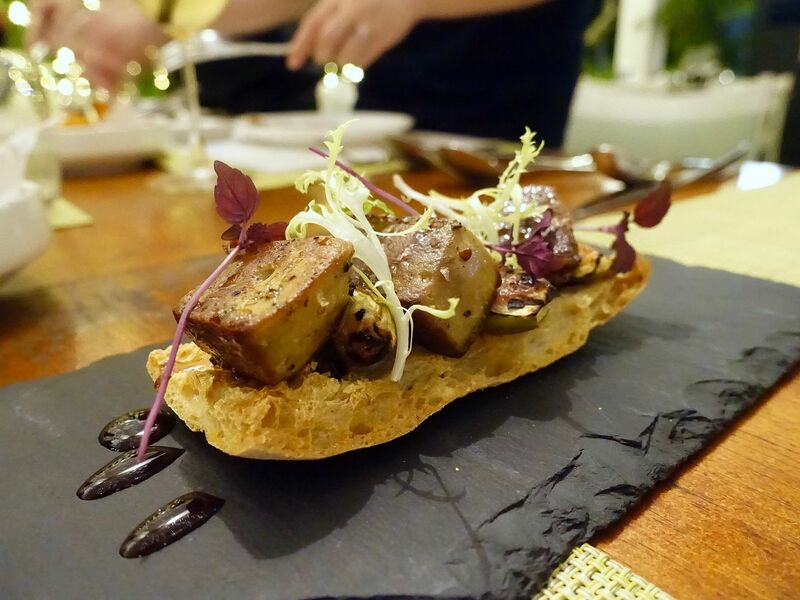 An ideal slice of foie gras should spread nicely and moisten the buttery bread (preferably brioche) with its fat. 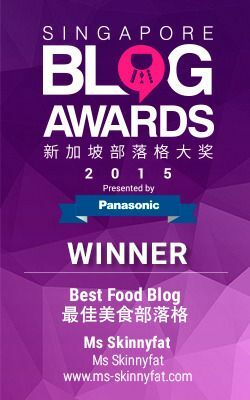 In this case, the fat has yet to be rendered and the mouthfeel is akin to chomping on soy beancurd and crackers. 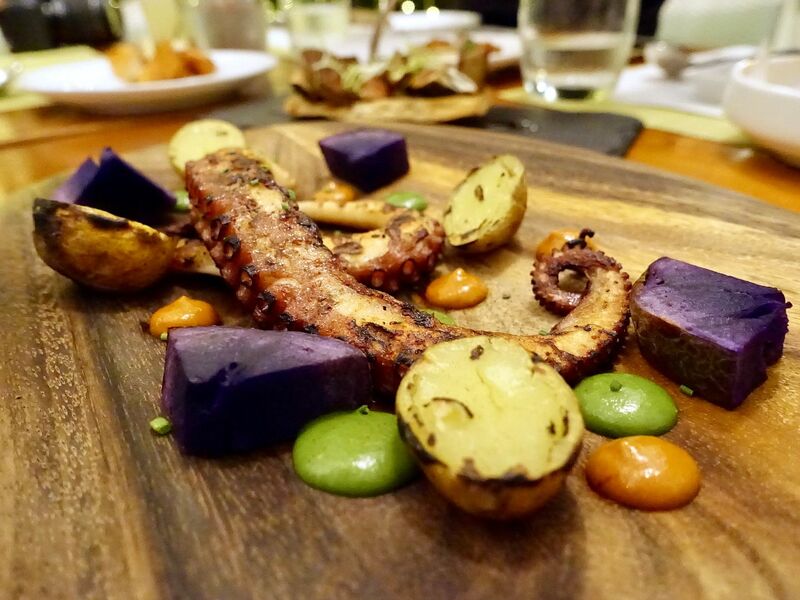 Definitely order the Pulpo A La Parrilla Con Papas Arrugadas Y Mojo ($32). This is one of the best octopus I've had this year. The charred crispy skin is a result of the charcoal grill but the white flesh remained tender and sweet. For a little bit of creaminess, give it a dab of the coriander and pimentón sauce. All i remembered of the Fideua De Calamares ($20) was that it's fried beehoon (actually it's Fideos pasta) in squid ink sauce, baked in the cast iron skillet. The local baby squid were crispy with a creamy center but they were really fishy morsels. The rest of the dish was bland and oily. Guess we should stick with paella here at UNA. The Paella De Chorizo Y Habitas ($46 small / $66 large), provided the usual comfort from this Spanish arroz Bomba dish. The aromatic saffron rice was punctuated with a savory chorizo, fava beans and an aioli sauce. I thought the rice was a little wetter than the usual paella but it was delicious nonetheless. For proteins, the Pescado A La Parilla ($42) fared better than the Cochinillo Asado ($36). 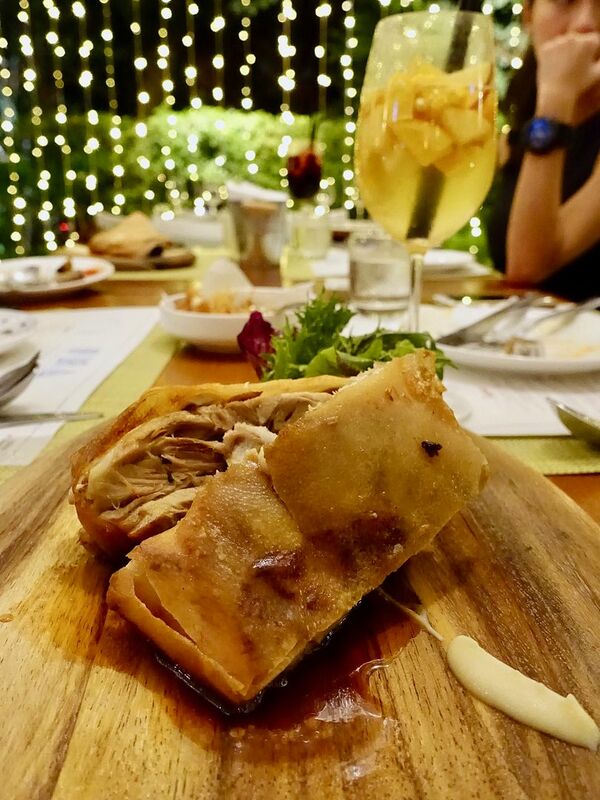 The latter was a piece of dry Spanish suckling pig with a thick, hard, and bland crust. The fish on the other hand, though simply grilled with thyme, garlic, and lemon, was a lot more appetizing. 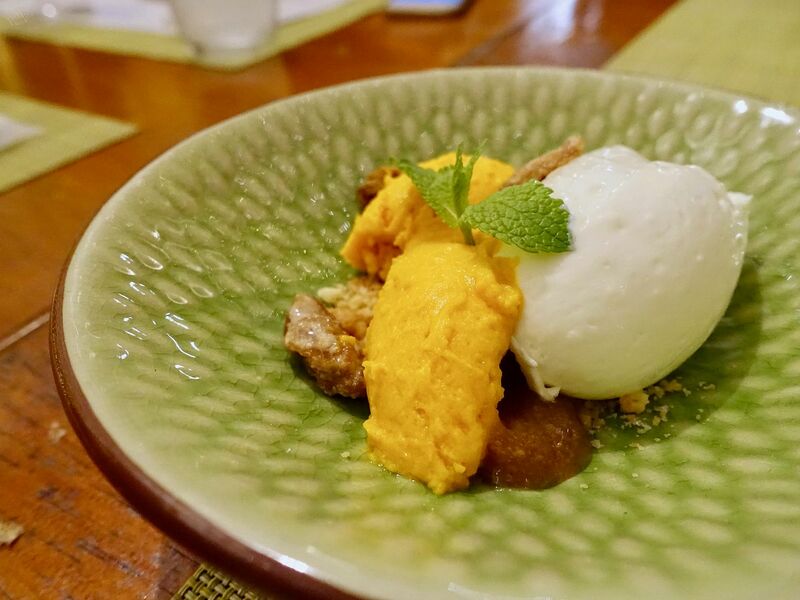 Onto desserts, an interesting sweet to end the night is the Queso Fresco Calabaza Y Membrillo ($14), a creamy cheese mousse complemented by roasted pumpkin ice cream, quince and walnuts. Have this instead of the oily Churros Con Chocolate y Cafe ($14). 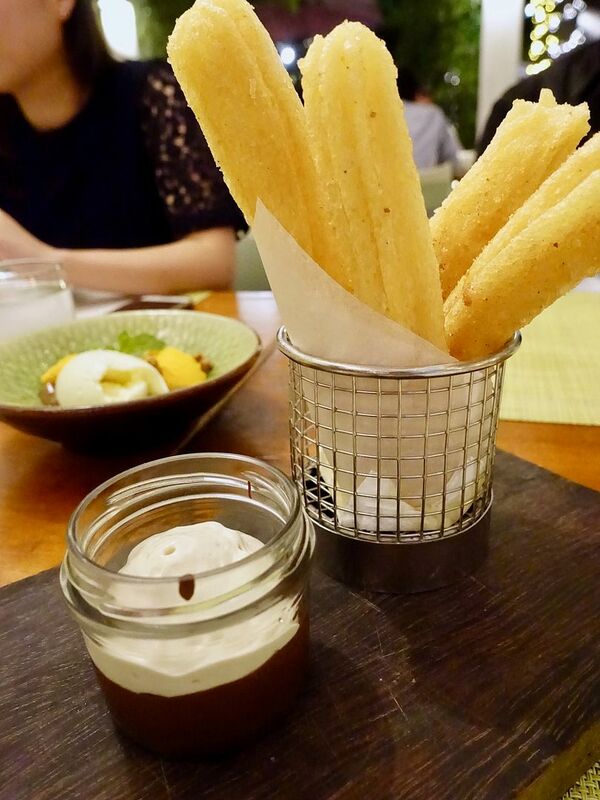 The churros were probably fried at a low heat and they were quite oily. We'd rather eat the coffee-flavored chocolate mousse on its own. Hits and misses at UNA at One Rochester. Thankfully they have a super potent Sangria ($18) that is sure to make you forget the bad stuff. Go for the red one! The other cocktails are not quite worth the calories IMO.